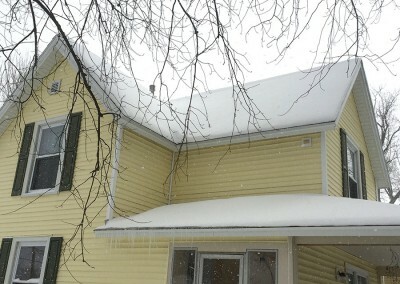 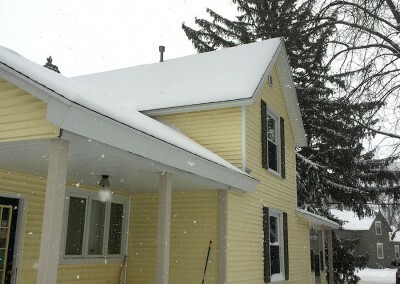 At KMR we have offered our own thermal layered roofing option or years. 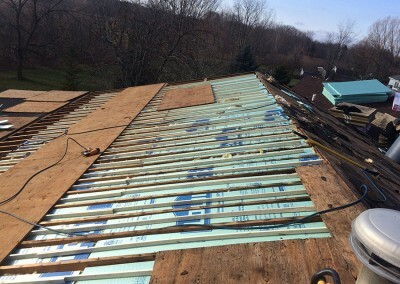 Thermal layering greatly increases heat savings. 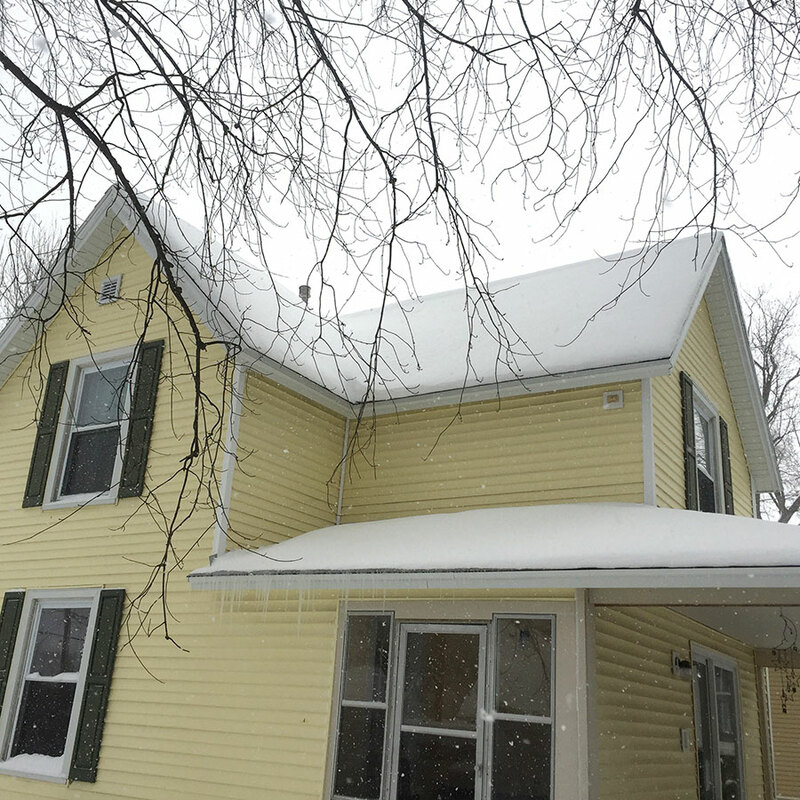 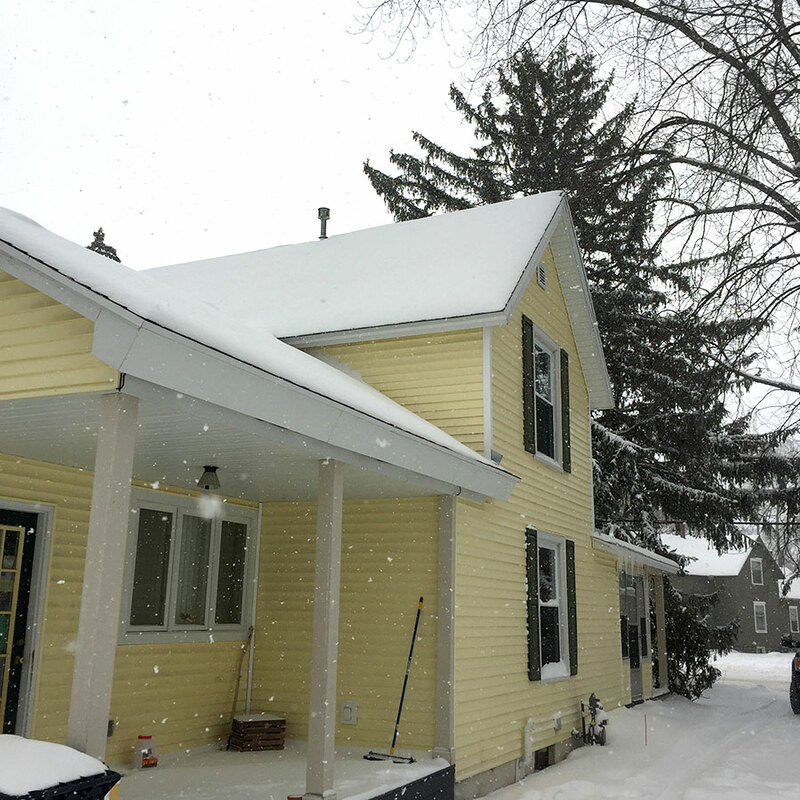 And because heat isn’t escaping through your roof the thaw-freeze cycle is greatly diminished thus greatly decreasing icicles and ice build up along the edges of your West Michigan roof, which also reduces damaging ice dams along eves and in valleys. 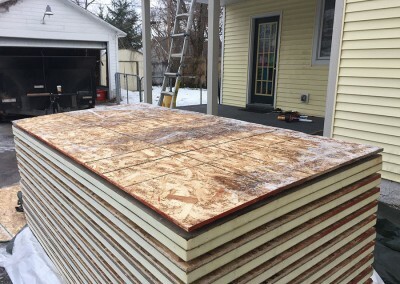 To this thermal layered roof system KMR Roofing now offers and highly recommend the option of Hunter’s Cool Vent pre-built panels. 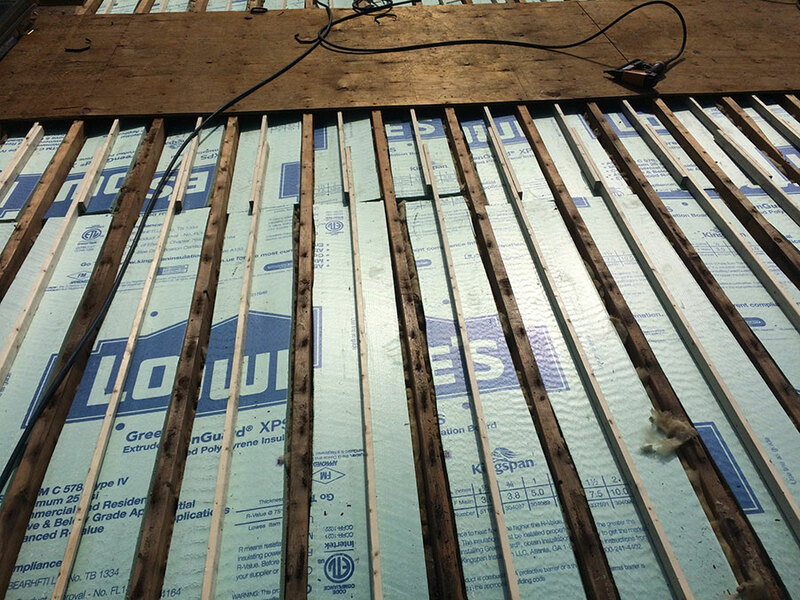 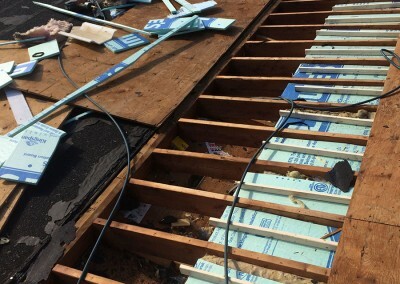 When it comes to thermal efficiency and a wide range of building applications, Polyiso insulation, which the Cool Vent system incorporates is the #1 insulating material available today. Polyiso can be installed on both commercial and residential structures. 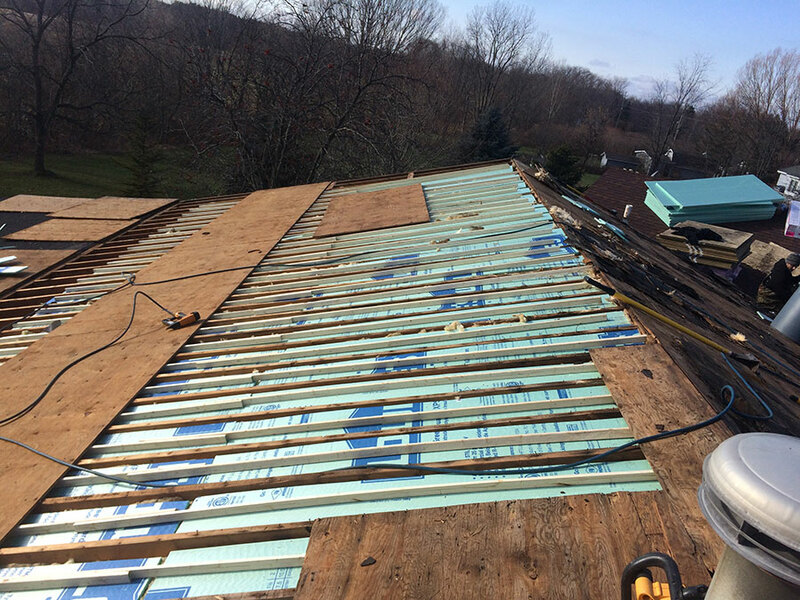 It’s lightweight, cost-effective and provides outstanding return on investment with significant energy savings. It also decreases roofing labor. 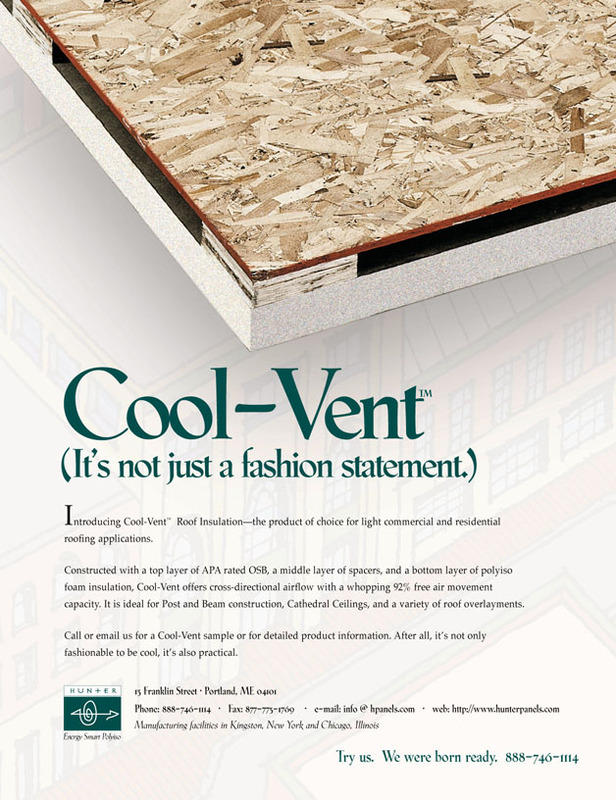 Ask us about Hunter Cool Vent panels- for your next roofing project! 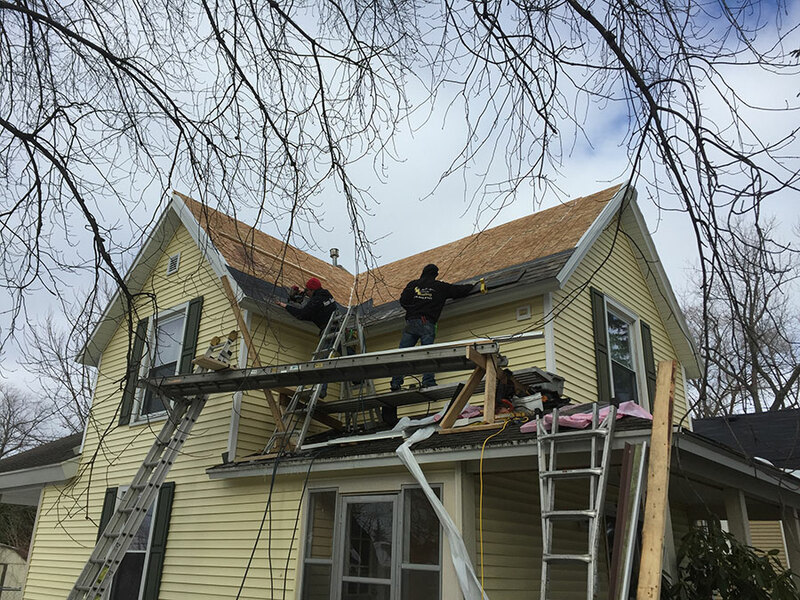 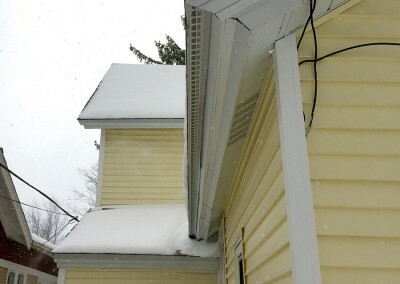 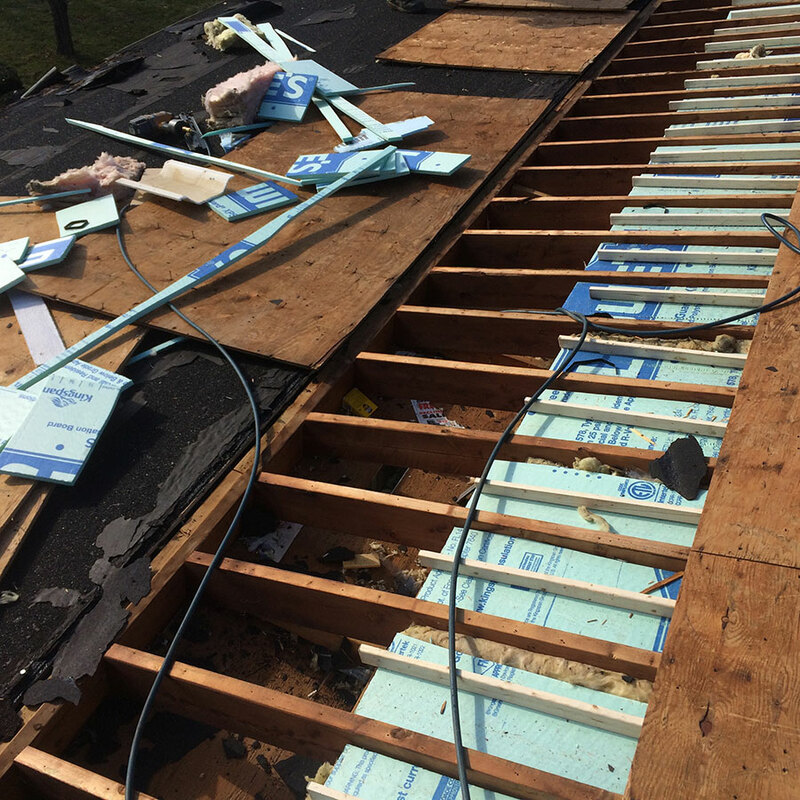 As you review the following gallery note whats “missing” along the roof edge of the “after pictures” of the yellow house- after Cool Vent panels were used in the roofing process!